How do you build a successful sales development team? To set the groundwork for a successful sales development team: build your SDR spec, find the right fit, be transparent about salary and benefits, use dynamic interviews, provide quality onboarding and training, and set goals and review progress. Have you taken time to build a sales development team? If you’ve got salespeople prospecting and cold calling while also working hard to close deals, you are doing your organization a disservice. After all, companies with sales development reps (SDRs) generate 8x more leads than businesses without SDRs. In other words, you really should have a dedicated SDR team and a corresponding AE team that they support. Of course, not all SDRs are created equal. To build a successful business development team, you need to know what you’re looking for. That’s why we’ve put together the key steps for building a successful sales development team. Let’s imagine you could build your perfect candidate from the ground up. What would that look like? Use this as an opportunity to figure out your Must-Haves and your Optional Extras. Perhaps you value a background in your industry more than wider experience. Maybe you favor ambitious candidates who are always looking for the next goal to smash. Whatever the case may be for your organization, creating this profile will form the basis of your recruiting plan. Now, take a step back and look at your sales development team as a whole. What does your ideal SDR team look like? Treat the team as if it’s a person, as if it were a single unified entity. Your team’s defining traits will give you additional insights about the kind of candidates who will work well with your team. 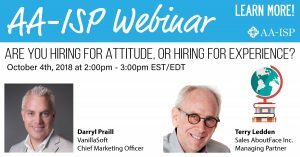 When hiring SDR talent, one decision you’ll need to make is whether you will hire for experience or attitude. Often times, sales leaders make the mistake of only focusing on experience. However, experience is not nearly as important as attitude. You can train new hires on your product and industry, but you’ll find it next to impossible to teach them to have the right attitude for your team. Bad hiring decisions can cost your team more than an open position does. You can’t build a dynamic and successful sales development team without a little incentive. You need to face the reality that you’ll have to compete with industry standard wages to attract the right candidates, and you need to be transparent about salary range in your job ads. A 2018 Glassdoor survey found that 62 percent of job seekers report that pay transparency is the most important factor they look for on job ads. If you want a truly standout team, you will probably need to offer more or provide other benefits and perks such as more paid time off or better insurance. Here’s an open secret that many of us don’t like to confront: many resumes stretch the truth while others contain outright lies. Interviews aren’t a much better window to the truth either. Charm, wit, and lots of prep time can make almost any candidate look like a prize. Consider switching up your interview methods to include more dynamic elements — maybe role play a sales call. Think about some small “audition” sales projects for your candidates, and see what they do with them. You’ll soon find those who deal well with the pressure. Another option is to try this “negative interview” technique suggested by Terry Ledden, an award-winning sales consultant, trainer and coach. Do you have a formal onboarding and training program in place? If not, you’re hurting your potential for maximum efficiency, productivity, and revenue. Whether you’re recruiting experienced reps or people who are new to sales altogether, you have to invest in onboarding and training programs. Without onboarding and training, your SDRs will have to find their own path to success. Some may be lucky and figure things out. Others may leave out of frustration. Worst case scenario? You don’t train your reps and they stick around — failing to meet quota. To get the best performance out of your SDRs, set goals and review progress on a routine basis. Yes, quota is an obvious goal to set. However, there are other areas where you may want to focus. If you have reps who struggle with call reluctance, set a goal to make more cold calls this month. If someone has problems with handling objections, set a goal to role play with a more experienced team member once a week for a month. These skills-improvement goals can improve individual performance and help the team achieve corporate revenue goals in the long run. You should also take time to perform more frequent reviews with your new team members. These assessments will help you identify problem areas more quickly and can give your SDR a clear picture of how they are performing. While it’s always difficult, don’t be afraid to cut someone if he or she isn’t performing after an appropriate ramp-up period. If you’ve taken time to onboard someone and coach them through multiple review periods, you’ll be able to make an objective decision. These tips should set you on the road to building a successful sales development team. Remember that success is an ongoing process. You should continue to train and team build for best results. Monitor progress to find out what’s working and what’s not. Soon enough, you’ll uncover your team’s true potential. Looking for more SDR tips? Make sure to follow our blog. As Vice President of Sales, Scott is responsible for leading our global sales team. 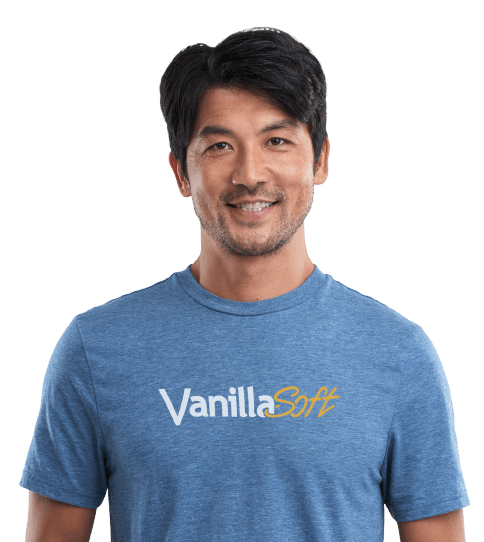 He is a results-driven professional who brings more than 25 years of sales and executive-management experience to VanillaSoft. He is a proven veteran at building scalable infrastructure for inside sales and call center teams by defining key performance indicators, sales process, and training programs. In his previous role as Director of Sales at BenefitMall, Scott built and launched their inside sales team. In this position, he created and delivered policies and procedures, strategic planning, and technology integration leading to a 42% decrease in their sales cycle, and 30% increase in revenue per sale. Scott has also held prestigious positions at multi-million-dollar companies, including Capital One, where he overhauled the entire sales and training processes to drive goal-surpassing revenue from $300 million to $900 million. Scott holds a Bachelor’s of Science Degree in Marketing from Nicholls State University.